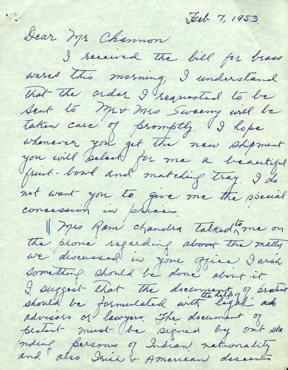 Letter from Nana Lal Patel to Godha Ram Channon dated February 7, 1953. 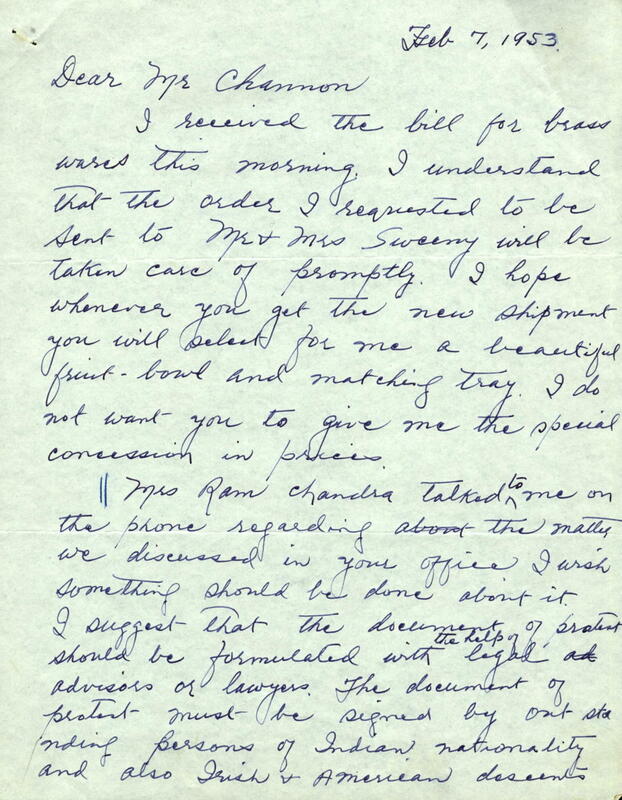 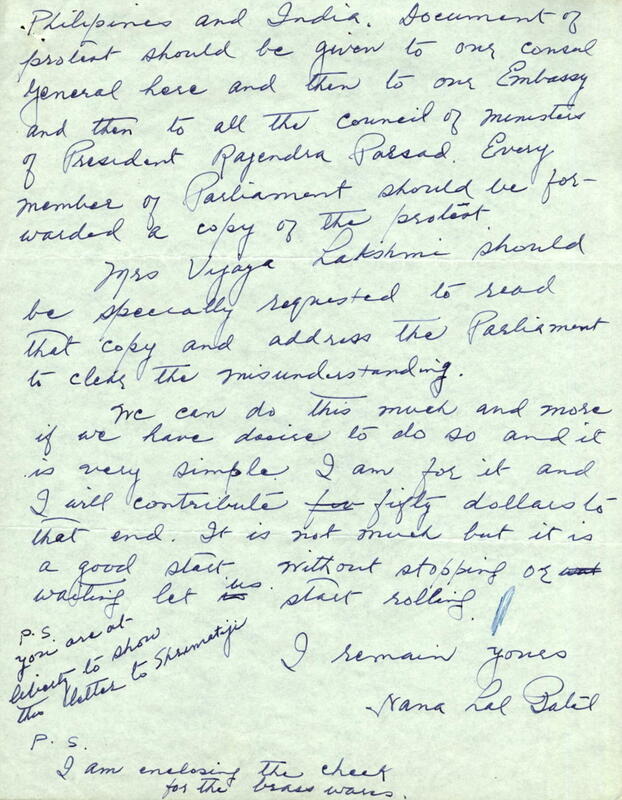 Patel suggests Channon write a letter of protest to The March of India to contest a statement made by Khushwant Singh in the January-February issue which accused Ram Chandra, President of the Ghadar Party 1914-1917, of being a "British spy." 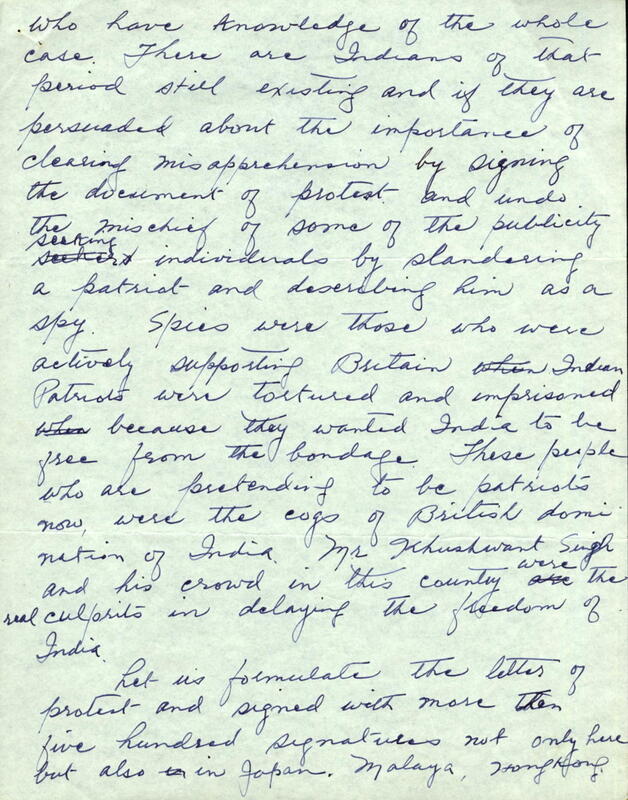 Patel urges Channon to organize ex-Ghadarites in the U.S. to sign the letter and to work together to collect at least 500 signatures from ex-Ghadarites and their supporters around the globe.